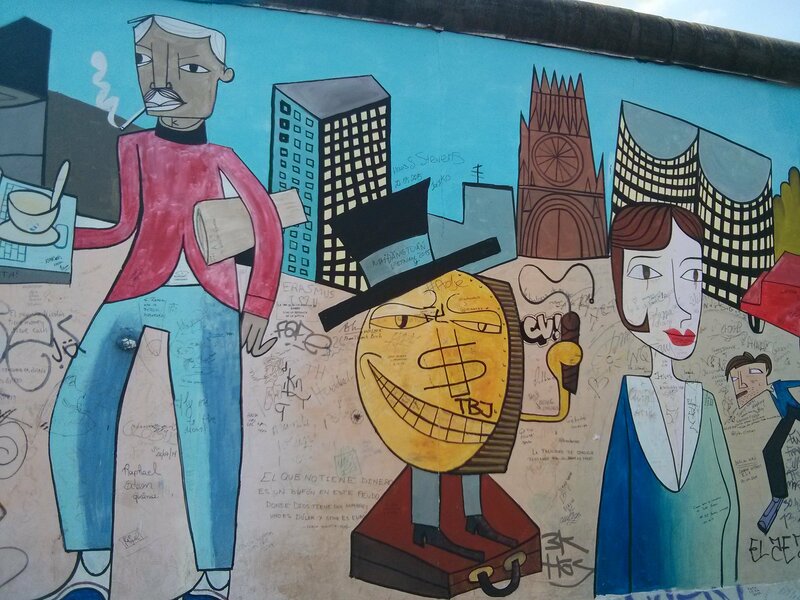 In the second part of my gluten free Berlin trip, I visit the East Side Gallery, where a section of the Berlin Wall has been painted with murals. 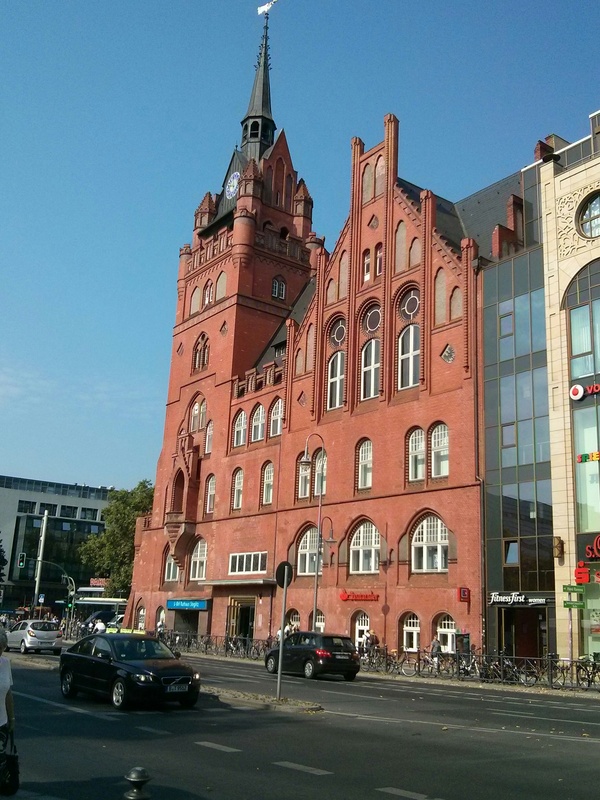 I spent two full days and two half days in Berlin in August 2015, and managed to cram about five days’ worth of sightseeing in; so much, in fact, that I’ve split this into two parts to make it easier to read. I am picking up where I left off in part one. Part two of my gluten free Berlin travel series starts with Monday morning, and continues through Tuesday midday when I left. My dad’s side of the family hails from Germany, and my great-grandmother was from a suburb of Berlin called Steglitz. Her eldest daughter was born in Friedenau, and the two of them immigrated to the United States on the same ship as my great-grandfather – they apparently married on the ship or soon after the journey! I’d been to the small town in Bavaria where my great-grandfather was from a few years prior, but little was known about my great-grandmother’s side of the family. I thought I’d head down to Steglitz and see where she was from. There is apparently a really good area to shop there, but I skipped that to wander quiet neighborhoods. I didn’t find anything really – I kept an eye out for libraries or hospitals but didn’t see either. I wandered along to Friedenau and then decided to head on to my next stop. This was the only time in my trip where I really had to rely on my ability to speak German – I was glad I had a Gluten Free Restaurant Card with me as I can never remember the words for barley and rye! I headed over to Markthalle Neun, which is a famous indoor market that is popular on weekends and for their street food offerings on Thursday nights. Turns out it’s pretty dead on a Monday, so make sure you time your visit right (weekends or Thursday nights are your best bets.) From there I took a long walk to the East Side Gallery, a long section of still-standing wall that had been painted like an art gallery. Sadly it’s been pretty badly graffiti-covered, but you still get the idea. 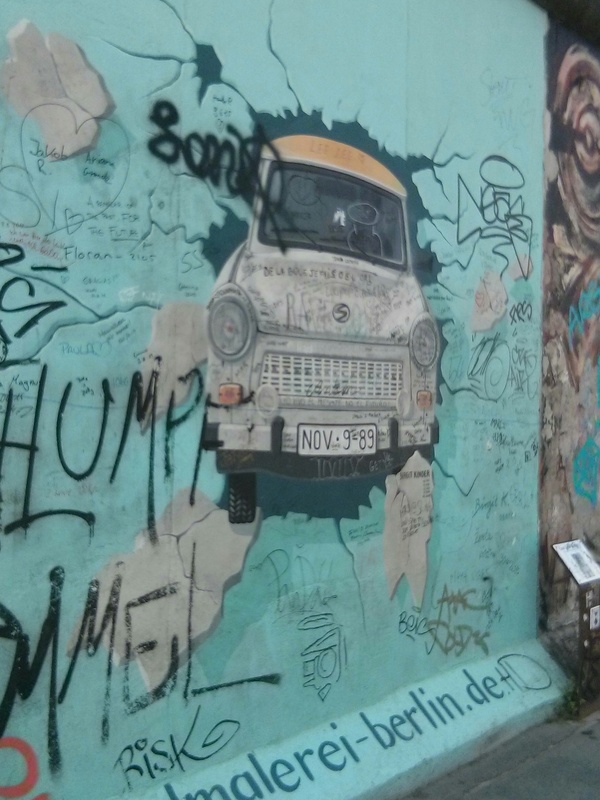 Another mural in the East Side Gallery. Sad to see all the graffiti on top of it. From there my itinerary says I went to Hackescher Markt. I went somewhere, had a gelato, wandered around a bit, and then ended up back at Alexanderplatz. The map says this is feasible so I’m pretty sure this is what I did. I definitely ate lunch at Alex. By then, everything was a blur, I was hot, tired and sore, and I just didn’t feel like touring any more. Back to the hotel I went to cool off and clean up. I decided the best thing for my aching feet would be a nice pedicure, and it turned out there was a little salon, Manuela Riemer, just next to my hotel that offered them. I got my toes done up in a nice red shade and felt much better after that. I decided I could handle one more adventure, so back on the subway I went, in search of this pizza place that all the gluten free people were raving about on Yelp. It’s called Cielo Di Berlino and it was not near anything else I did the whole trip. I made a special trip just to go to this place. What a disappointment that turned out to me – the food took forever and the pizza wasn’t very good. At least now you all know you can skip it! I needed to be at the airport at 12:30, so I had a little time in the morning to explore. I stuck close to the hotel and started in the KaDeWe. Kaufhaus des Westens, as it is formally known, is a grand department store full of luxury items. It was all way too expensive for me, but it was neat to see. I wandered down the street from there and found a nearby Uniqlo, which is always fun to visit when you don’t have them in your area. (Note: the store I linked is not where I remember being; however, there’s only two on the official website and that’s the closest.) There was a little market on in Wittenbergplatz that Tuesday morning, so I wandered around it before checking out of the hotel and taking the subway and a bus to Berlin Tegel Airport for my flight home. Insane pace aside, I really enjoyed Berlin and thought it was a city I could see myself living in. My top tip if you’re going to visit is to make sure you have working data on your phone, because Google maps was necessary to help me navigate the bus, train and subway system. (I made my plan each morning in the hotel using the WiFi and wrote down the bus/train/subway plan from place to place. This is too complicated, don’t be me.) If you get the Welcome Card, carry the whole book with you because the coupons for discounts at shops and activities are in the book. I learned this the hard way. Are you ready to fly to Berlin? What’s your favorite city? Tell me in the comments!